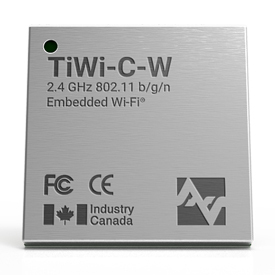 This stand-alone WLAN (IEEE 802.11 b/g/n) module simplifies the work of adding Wi-Fi connectivity to your products on one of the smallest footprints available. 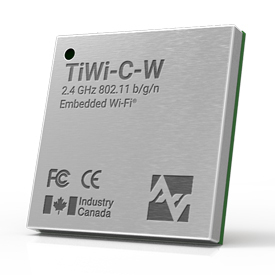 The TiWi-C-W module’s breadth of capabilities ensures a straight-forward integration with your product design, including a pre-loaded cloud connectivity agent for LSR’s TiWiConnect™ platform. 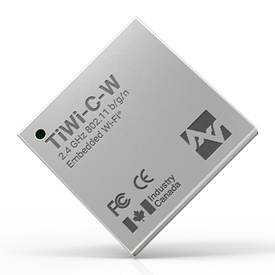 The TiWi-C-W module is able to support both hostless operations with client applications running directly on its application processor, as well as hosted operations utilizing a device’s existing microcontroller via a serial UART interface. 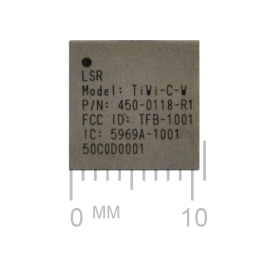 Development time and complexity is dramatically reduced for a hosted application, as LSR’s new TiWiConnect LIFT software offers a simple, intuitive protocol for the embedded software developer. 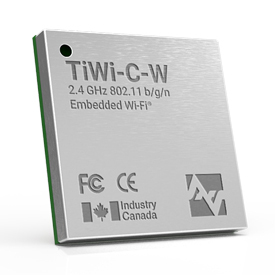 This is the simplest module on the market to integrate Wi-Fi into your product.